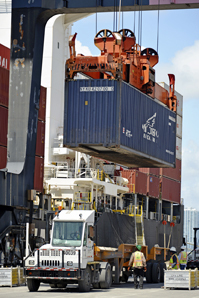 Will new regional trade agreements create American jobs? After more than four years without pushing for new free-trade agreements, President Obama has decided the time is ripe for America to again push for a more liberalized international trading system. The United States is negotiating two massive regional free-trade pacts — one with 11 Asian and Pacific Rim countries and the other with the 28-member European Union. Together, the 40 countries comprise the lion's share of the world economy. Meanwhile, the World Trade Organization is languishing on the sidelines as negotiations over a slew of new regional agreements overshadow the WTO's decade-long effort to broker a single global trade agreement. Hopes for the regional pacts have reignited debates on whether free trade creates or costs U.S. jobs and helps or hurts human rights. Looming over the debates is booming China, whose conglomerates — most owned and subsidized by the state — have conquered markets in both developing and developed nations.